The Floor Lite Square is an uplighter luminaire which has a low profile of 7mm. The square shape makes it ideal for mounting in tiled areas and it can be walked upon without being damaged. There are 2 flange designs: Louvre (45 degrees angle) and Spot. 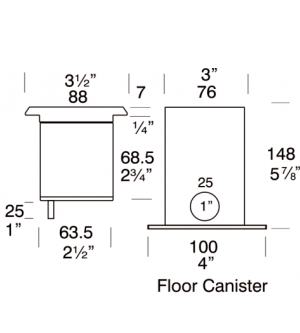 All Floor Lites are supplied with a mounting canister.